Want to improve your core strength? 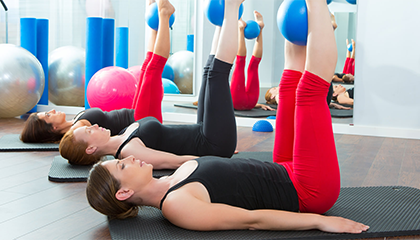 I offer Pilates classes at two Woking locations or 1-2-1 Pilates sessions in a private Woking studio. I teach all levels, including pre and post-natal, and everything is tailored to suit you. Want to push your body to peak performance? My Personal Training services can help you improve fitness, lose weight and tone up. I offer sports specific tailored programmes, as well as nutritional advice and keep fit throughout and post pregnancy. Do you need to relax, repair and rebalance? I found Jacky to a be diligent, enthusiastic and challenging trainer. Diligent because she tailored my program to the areas I wanted; enthusiastic because she encouraged me to work hard during the session and challenging in that she pushed me to work in a way I never had or could on my own. Thanks so much, I couldn’t have done it without you. “I had a hip replacement over 10 years ago, and since then I’ve had hardly any movement in my left leg and could barely lift it. I’d tried Pilates before but having found that I couldn’t do most of the movements, I gave up and got quite upset, so almost gave up until I met Jacky. She is the first instructor I’ve found that insists in starting off with a one to one before you start the classes properly. This gave me a better understanding of the terminology within the classes and also allowed Jacky to assess my main issues. 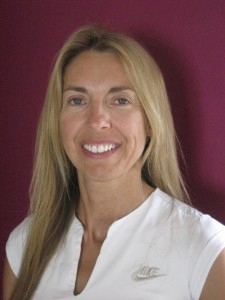 I am a Premier qualified Personal Trainer and Massage Therapist and OCR Level 3 Pilates Instructor and have been in this profession for over 15 years. I was in Marketing before that, but have always been into fitness of some sort and used to be a club badminton player! My own personal experience with Scoliosis has fuelled my work and I enjoy working with a range of clients, abilities and challenges.